Do you ever wonder if your child’s speech-language development is on target? Have questions like these? Articulation – how much should you understand at each age? Expressive language – should your child be combining words yet? Receptive language – how do you know how much they understand? Stuttering – don’t all kids stutter sometimes? Social language – how do you know if there’s a problem? 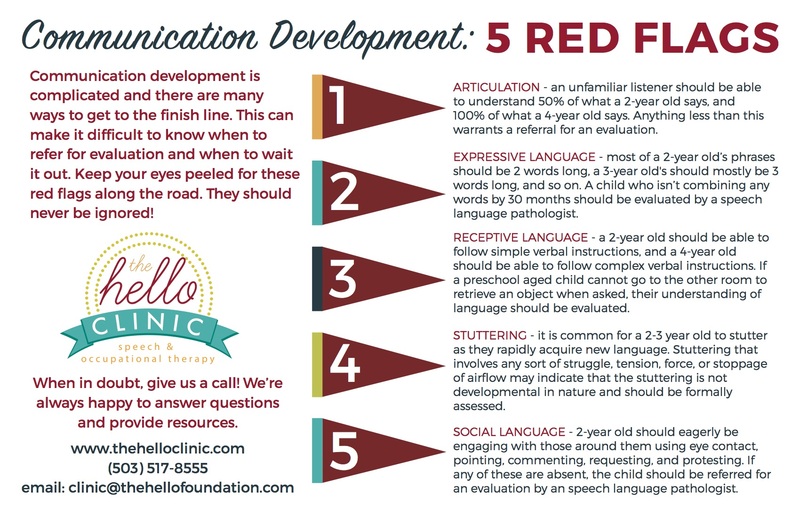 We created this handy reference highlighting five communication development red flags, covering each area of speech and language, that should never be ignored.